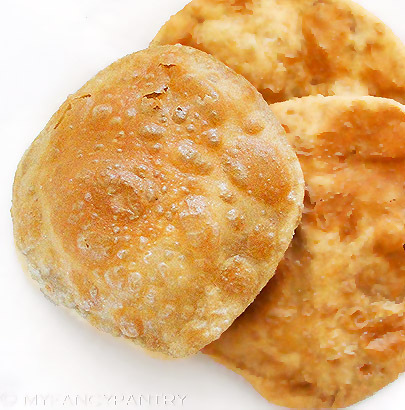 This post and recipe have been updated on my new blog, Spiced up Mom. Please click the photo below to be taken to the new recipe! I have a confession to make. I am a judgmental, picky–sometimes even bratty–eater. I always have been. If something looks funny, I might still try it; but I make no promises (ehhmm…pickles!). Growing up, I had a list of foods I would absolutely refuse to eat. The list included (but was not limited to): onions, shrimp (and other sea creatures), pickles, most vegetables and tomatoes (unless they were sauced, smashed, diced or in the form of ketchup. I loved ketchup). As I get older, I notice my taste-buds have evolved quite dramatically and most things on my list have been crossed off. But, it wasn’t until I developed a love for Indian food (and a certain Indian…) that I began to appreciate onions, tomatoes, veggies…and shrimp. Ok…If I’m being completely honest, I can’t say that I really enjoy shrimp (tolerate…yes. enjoy…not so much. ); but drowning the little, pink sea-creatures in a sauce of creamy curry sure makes it a whole lot easier. Piyush, on the other hand, can’t get enough of the funky looking crustaceans and loves when I surprise him with a steaming bowl of shrimp curry. This particular curry originates from West Bengal, India. It has a base made from coconut milk, cardamom, cinnamon, and clove—things I love! The flavor is semi-sweet; but has a little kick from the addition of the chili powder. Peel and de-vein the shrimp, leaving the tails intact–if you can. I prefer to use wild-caught shrimp rather than farm raised, and unfortunately my store only had one option for wild-caught…so my shrimp had no tails. Put the shrimp in a bowl, add the lemon juice, then toss them together and leave them sit for around 5 minutes. Rinse the Shrimp under cold water and pat dry. Heat oil in a heavy-bottomed pan over medium-high heat and cook the onion until lightly browned. Add the garlic, ginger, turmeric, chili powder and paprika and cook until everything becomes fragrant and cooked through. Grab your blender. In a blender, combine the onion mixture and 1/2 c. coconut milk. Blend until smooth and set aside. In the same pan that you cooked the onions, add a little more oil. Toss in the cloves, cardamom, bay leaves and cinnamon. Let the spices “fry” for about a minute. Add the shrimp to the pan and cook until they begin to turn pink. Once they’re almost cooked through, dump the contents of the blender into the pan. Add 1/2 c. water into the blender and swish around–dump this into the pan too. Stir everything so that all the shrimp are well coated. Bring the mixture to a boil and then reduce to a simmer. Once the mixture is simmering, add the last 1/2 c. coconut milk. Let curry simmer away for about 15 minutes–until the sauce has thickened. Enjoy with rice or rotis!!! Note: You can skip the blender stage and leave everything “chunky”…the taste is the same (and it’s actually more authentic); but you won’t have that smooth, beautiful gravy. 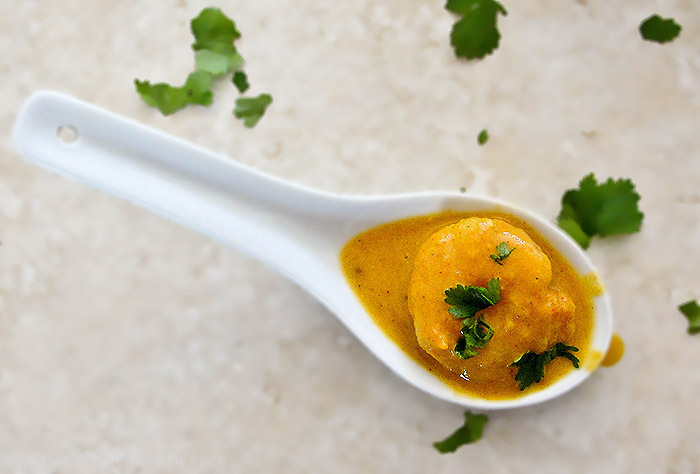 This curry can make a nice appetizer, too! I served the curry with home-made pooris—which, unfortunately, my stomach can not tolerate. It couldn’t in India, either…but I was hopeful. My first attempt at making pooris—probably my last (for now). We also ate our shrimp curry alongside a simple veg. curry. Pure veg. 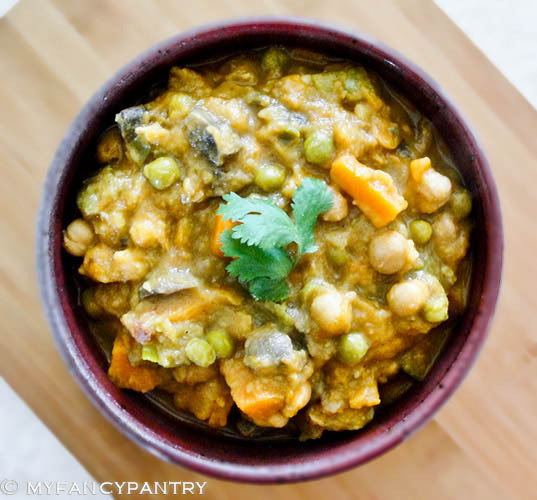 curry –no cream, yogurt…nothin’ but veggies! 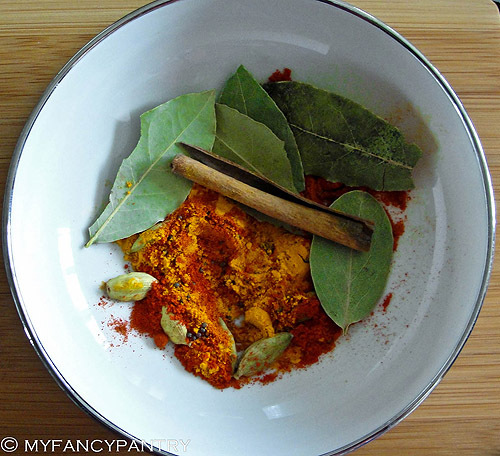 This curry is super easy; and is often my “go-to curry.” I’ll get the recipe up here soon! This entry was posted in Food, Indian, Recipes and tagged Bengali, curry, Fish & Seafood, Indian on April 19, 2012 by Shari. I was a bit skeptical about using shrimp in curry (I made the pumpkin curry from the Bon Appetit food cleanse), but it turned out very tasty! It took me a bit to warm up to the shrimp and I still find dishes in which I don’t like it, but I always enjoy it grilled. Can’t wait for the patio in my apartment building to open for the season! Pumpkin curry? sounds interesting. I know my mother-in-law makes some sort of pumpkin curry…but I believe it’s always strictly vegetarian. Shrimp would be a nice addition, I think! I can’t wait for your patio to open either!!! I always look forward to grilling! Where can you buy the cardamom pods? Jennifer, you should be able to buy cardamom pods at your local grocery store—but they will be very expensive! Instead, I recommend checking out an Asian/Indian market, the internet, or even a local co-op. The curry looks so good with that thick creamy curry gravy! 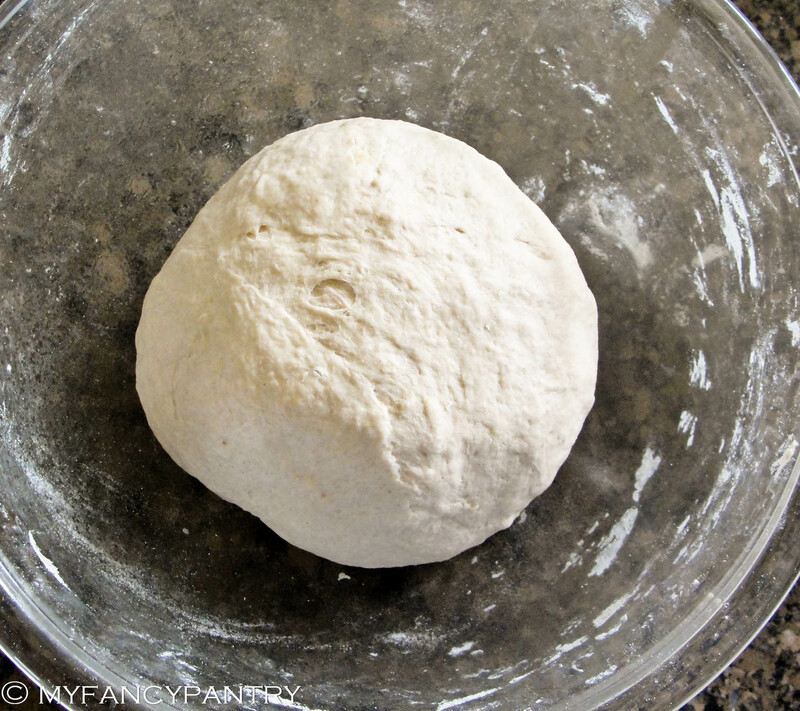 Your recipe blows mine away…. wow! About the only thing I do differently is to add cubed potatoes, carrots, and onions, sort of what my mom used to put into a pot roast. Sometimes I even skip the shrimp (and I LOVE shrimp)! That sounds really good too! 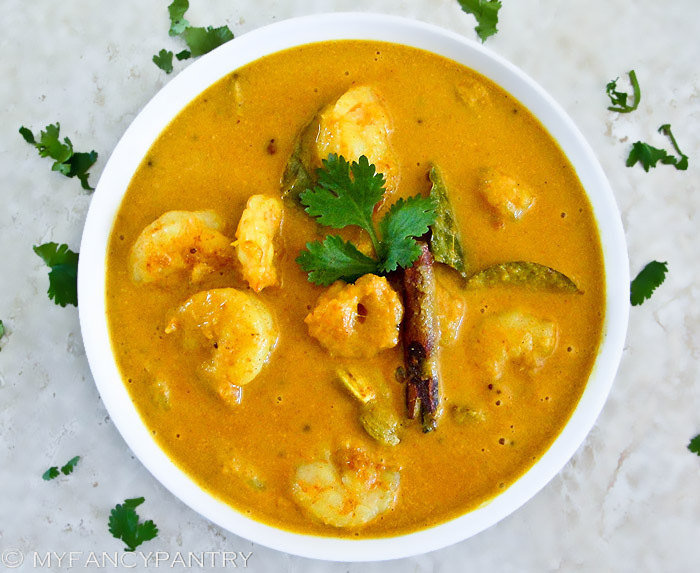 My recipe is a pretty authentic Bengali Shrimp Malai curry, but there are a lot of times I swap ingredients or change the recipe according to what I have on hand (or what I’m craving). I might have to try adding veggies next time! Deelish looking and will give a try. I like to make my own cheese and will try my hand at paneer. Will look for dishes on your blog that has paneer!